Posted by Olivia Haider in Aouda Spacesuit Simulator, Events, OeWF News, Research/Projects. 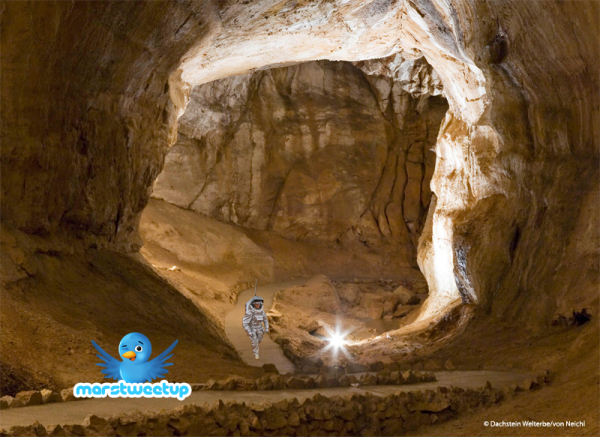 On 28th of April 2012, the Austrian Space Forum (OEWF) is inviting 20 Twitter followers to the Dachstein Mars simulation. A Tweetup is an informal gathering of people who are using the microblogging plattform Twitter. This MarsTweetup is a unique opportunity to follow live the Dachstein Mars simulation, to meet the spacesuit simulator Aouda.X and to discuss with scientist and space experts about analog missions. Together with international partners the OEWF will be conducting a five-day simulation with experiments and tests in the mammoth- and giant ice cave at the Dachstein near Obertraun (Austria). Besides the Polish MarsScociety, who won with their MAGMA2 rover the University Rover Challenge in 2011, also a team of the WISDOM radar, a radar experiment from the ESA EXOMARS rover, will test their experiments at the Dachstein, there will also be a remote-science experiment with the NASA Jet Propulsion Laboratory. The Tweetup is for Twitter followers who are interested in space and analog simulations or who are following the oewf channel on Twitter (@oewf). 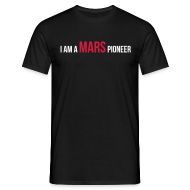 The goal is to give MarsTweetup participants a unique opportunity to experience live a real space mission simulation, get the chance to look behind the scenes of a Mars analog field test and meet other Twitter users who are sharing the same interest. Registration opens on 1st March 2012 12:00 p.m CET at www.oewf.org/tweetup. Space is limited to 20 participants. Participants have to cover all expenses concerning travel, board or accommodation for the MarsTweetup. The official Twitter account for the MarsTweetup is @oewf, the official hashtag is #marstweetup. The MarsTweetup will take place on Saturday, 28th April 2012, at the “Schönbergalm” at 1.350 m from ca. 09:00 a.m – 05:00 p.m. (red point on the map). All particpants will be provided a work place and free WiFi. The Tweetup will be held in English and German. Tweets are welcome in any language. Environmental conditions to expect: We expect most of the snow to be gone. In the cave, temperatures will be between -2 to +2 °C and we expect a humidity of up to 100% – inside the cave it will be humid, cold and dirty. As you will be in a mountain area, please be equiped with proper shoes & warm clothes. The registration ends on Thursday, 8th March 2012 at 12:00 p.m CET. After the deadline, the 20 selected participants will be notified via email. All other registrants will be placed on a waiting list and get further information via email. Acceptances are not transferable. We will keep you posted via Twitter.